After living in several western states, primarily Texas, the Bennett family moved to Highlands Ranch in 1996. At Highlands Ranch High School, John “Casey”, played varsity football , was on the varsity wrestling team., and in the National Honor Society. Casey Bennett graduated from Highlands Ranch High School in 1998. He enlisted in the United States Army as a combat medic/ Licensed Practical Nurse after the September 11 terrorist attacks. He completed basic training in April 2002 at Fort Benning, GA. and combat medic training at Fort Sam Houston, TX in October of 2002. He then began his Licensed Practical Nurse courses at Walter Reed Army Medical Center and Bethesda Naval Hospital. 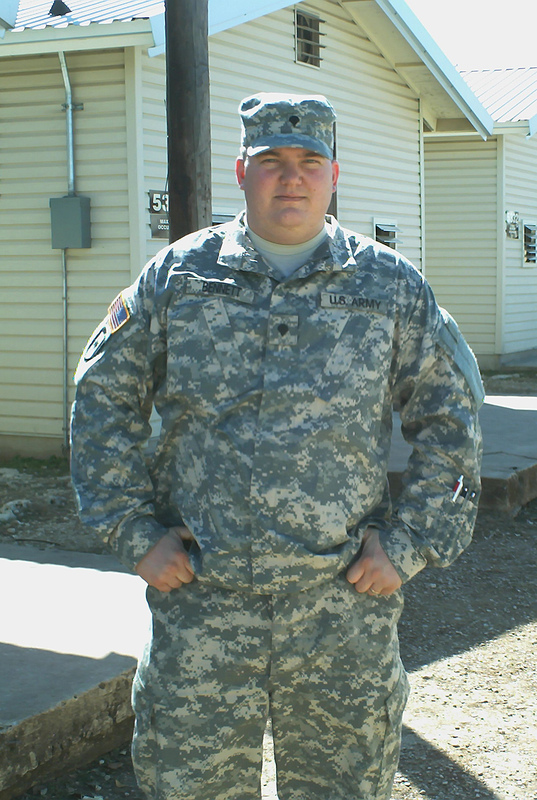 Upon completion of his LPN course work in October 2003, Casey was stationed at Fort Bragg, NC with the 28th Combat Support Hospital. He was stationed in Baghdad as an Intensive Care Unit nurse during Operation Iraqi Freedom from 2003-04. In 2005, Casey along with several members of his unit went to New Orleans for a month to assist with Hurricane Katrina relief. Casey was honorably discharged in February 2006. He was recalled to active service in January 2008. He is currently serving as a combat medic with the 27th Brigade Combat Team in Herat, Afghanistan and other outlying Forward Operating Bases. Casey was married on December 27, 2002 to Genevieve Makowski. They have two children, John Casey Jr. “J.C.”, age 3, and Joseph Steven “Joey”, who is due in July 2008. Casey and his family reside in Denver, CO. Casey’s parents, Steve and Betty Bennett, reside in Highlands Ranch and his brother, Christopher Bennett, resides in Denver.